What Are The Most Essential Travel Accessories? When it comes to long travel, it can be a miserable experience if you haven't brought along the most essential travel accessories that experienced travelers would never leave home without. In this section I will feature the ten most important items and gadgets that you should research and definitely consider taking with you on your next holiday or business trip. 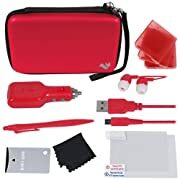 Covering all the common sense items like luggage and wallets, it also looks at the various power plug adapters and many items you would not have thought of, with details about the products available and some product reviews as well to help you make an informed buying decision. Traveling in this day and age requires you to pack wisely. Airlines are now charging more for luggage, and you have to have a compact packing strategy - and one that keeps you highly organized. Even if you're taking a road trip, space is limited, so you have to be careful. They can get quite beat up during the trip, depending on how you're traveling, so you want something that won't fall apart and cause you to lose the precious cargo you're carrying. You might want to shop for a complete set of luggage that you need. You can buy a simple two-piece set, 4-piece set, or even more. Some people prefer to shop for individual pieces instead of a complete set. There are all sorts of designs and colors - as well as materials that luggage can be made out of. 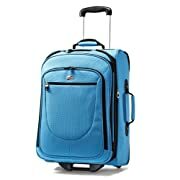 If you're going to be doing a lot of walking with your luggage, such as taking your carryon from one terminal to another in an airport, then you might want to splurge for the wheeled variety. This is perfect if you're traveling somewhere and intend to bring home souvenirs. When your luggage is coming around on the turn-style, you don't want to be ashamed of how shoddy it looks. 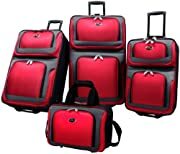 You can buy duffle bags with or without wheels that hold a variety of items. 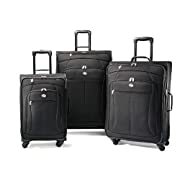 After you make the tough decision about what kind of travel luggage to invest in, you'll want to get into a bit more detail and look at specific travel packing organizers that go in that luggage and work to give you more space and less chaos. 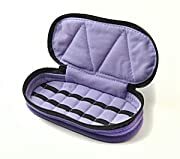 Travel cubes are one type pf organizer that's very popular with seasoned travelers. The cubes are designed to help keep the contents of your suitcases neat and orderly. Some people buy a variety of cubes and color code their travel belongings. Others sort things according to size, such as suits or dresses in the large cube and shoes in a smaller one. There are also specific shoe bags that look like a shoe box, only they're mesh and zippered for your convenience. One thing that comes in handy is their ability to protect your clean clothes from your clothing that needs to be laundered. 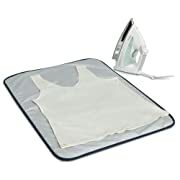 You can use one cube for clean items and another as a laundry bag to tote down to the hotel laundry area, or take home to wash.
Travel Gear Pack-It Folders are hot on the market right now. 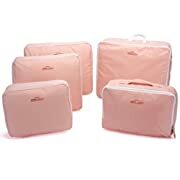 These almost look like a business case, but they allow you to fold your clothes so neatly that they'll arrive at your destination wrinkle-free and ready to wear out on the town! You can order a set of mesh travel envelopes that let you pack accessories and odds and ends in. These are similar to a school zipper pouch, only made for adults - and for traveling! 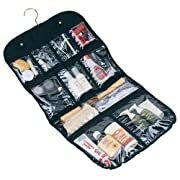 If you tend to pack a lot of toiletries, then you might want to invest in a hanging toiletry bag. 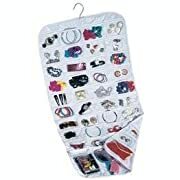 This type of organizer conveniently lets you see at a glance what you brought, and neatly pack it back up without a mess or a hassle. 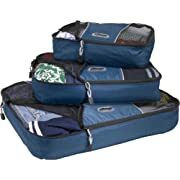 Space saving compression bags are great organizers for inside your luggage. You can fit 80% more in your luggage by using these nifty pieces, which have a one way compression valve that makes it a cinch to pack with plenty of room. For many consumers, eBags are a great purchase for travel gear. 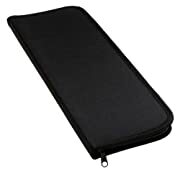 These bags are specifically made to safely carry your electronic gadgets, their cables, and other accessories. With the airline rules these days, you may want to consider a variety of carryon containers and organizers for your next trip. You can place liquids in these containers to ensure the contents pass inspection. Whenever people search for travel scales online, they're looking for one of two things. The first group is looking for a bodyweight scale that they can take with them on a trip. The second group is hoping to find a travel scale that measures how much their luggage weighs. Both types are handy when traveling, so let's cover both of them - starting with bodyweight first. What's the biggest complaint you might have when trying to take your usual bathroom scale along with you on a trip? The bulk and weight, of course. You want to watch your weight, but you don't want to have to pack a separate suitcase just for the mammoth scale you own. A miniature travel scale works great in these cases - and it packs easily. Consumers understand that they're a little different to step on, because they're not as bulky as a bathroom scale, but they work well for a short timespan. Luggage travel scales are fantastic devices that help you avoid a problem at the check in area. Airlines won't let you take bags that weigh more than their maximums. Using a travel scale, you can make sure you won't be going over limit quickly and easily. Most of them are electronic scales, but they attach differently - some buy a hook and others with clip. Not all of the travel scales are space savers. The micro units are, but other scales can be extremely large and cumbersome to pack. Make sure that if you're packing the scale with you, you factor in the weight of the actual scale, too. 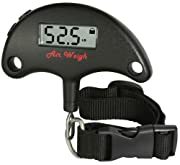 You can find travel scales that come with their own travel case - and others that don't. All you do is hook the scale up to your luggage and lift it off the ground to get your answer as to how much it weighs. Look for a travel scale that has a backlighting feature. That was it's easy to view regardless of the lighting in the room. You'd be surprised at how difficult it can be to read the numbers while you awkwardly hold your luggage up in the air, so a backlit displace can help. Temperature displays on your travel scale come in handy if you have certain things in your luggage that can't reach a specific temperature. If this is an important feature to you, make sure you know whether it reads in Celsius or Fahrenheit. Travel backpacks serve a dual purpose. 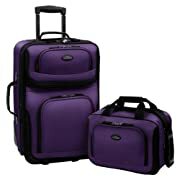 For some, they're a simple carryon convenience when traveling on a plane and you need to take your belongings with you. For others, it's a full-scale backpack needed for a hike, camping or other outdoor adventure. 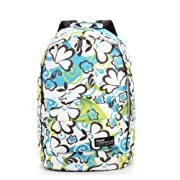 hese are small versions of backpacks that are often drawstring or zippered with shoulder straps. The full-scale backpack can have a frame or not, depending on the amount of hiking you'll be doing and how heavy your gear is. You wouldn't want to take a full frame backpack on a plane because it would take up too much room. 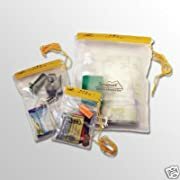 Daypacks should be lightweight. You won't be toting around all of the typical camping gear like sleeping bags, for example. You just need room for your important documents - and perhaps some things like a bottle of water and a map. 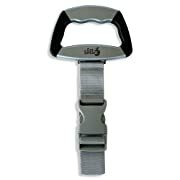 You want something durable where the fabric won't start coming unraveled when you carry items in it on a regular basis. You want it to be big enough to house your necessary items, but small enough to store easily when needed. Some of the great daypacks are very portable when you're traveling to a foreign destination. You can find some that fold up into a tiny envelope, small enough for you to pack in a suitcase. Then when you arrive, simply unpack the daypack and load it up with your supplies for that day. If you're looking for a larger backpack - one that you can carry more in and use outdoors on overnights and extended stays - then try to figure out if you want a frame or non framed pack. Frameless backpacks generally have one large pocket area, with a few smaller areas as well. 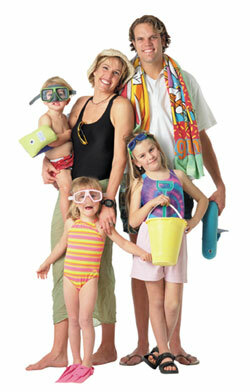 There are shoulder straps that are typically padded to provide comfort to you. 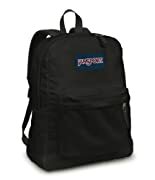 With some framed backpacks, which are meant to allow you to carry more, you can find internal bladders that allow you to carry an ample water supply in them. There are lots of pockets and areas to stow different gear. You can find daypacks and backpacks for youth and adult sizes, so don't assume it's one size fits all. The backpack should fit the contour of your body and in addition to comfortable shoulder straps, there might be a waist strap to hold the pack in position as you walk around. There are many reasons why travelers search for waterproof gear. Sometimes, they have specific water sports planned, like white water rafting or kayaking. Other times, they know they'll be in inclement weather and need to make sure their important identification and currency stays dry. Another reason you might want waterproof gear when traveling is that if you're on a trip where you're performing excessive physical tasks, you might perspire more than usual - and want to keep your belongings in a safe, dry place. You can start with a waterproof travel wallet that holds you money, ID cards, and even your passport. 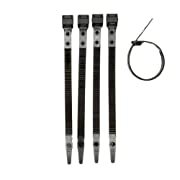 These can clip onto your clothes to keep them safe and waterproof simultaneously. 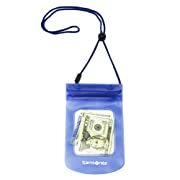 Bags and pouches come in waterproof versions. 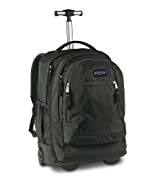 So do purses and backpacks that you can carry more belongings in. You can get an entire duffle bag that's billed as waterproof, or get individual waterproof containers that fit snugly inside. The choice is yours - and you might get both just to ensure your items are safe. 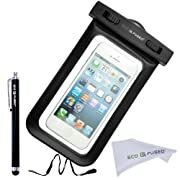 There are waterproof cases for specific electronic gadgets of all sizes. Not only are there pouches and cases to keep your electronics safe from water, but you can find actual gadgets that are waterproof on their own - like alarm clocks, cameras, travel speakers, and more. 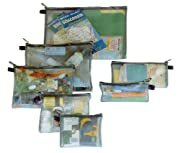 There are even waterproof maps you can buy for when you're traveling and hiking or biking - and pouches that you can put your map in to keep it safe and dry. As for other waterproof gear, how about apparel? You can get jackets, shoes and even pants and shirts that help keep you dry in a downpour or watery situation. If you need to stay warm or have a blanket for a picnic, you can find a waterproof version to take along with you. So whether you have a trip planned to ski down the mountains or relax at the beach, you can invest in a wide array of waterproof gear that helps you prevent damage to your belongings. Keep in mind that waterproof doesn't always mean that your gear is protected 100%. Sometimes it means resistant - which is great if a little water splashes on your belongings, but horrible if it gets submerged in a river or lake by accident. Make sure you understand how your waterproof accessories work and don't put any items in a resistant-only bag that you might need to make sure are kept 100% safe from harm. On a recent viral video online, a passenger on a plane made a video that showed an embarrassing situation. A woman had fallen asleep and her head flopped onto her seatmate, leaving him wondering what to do as he gently tried to nudge her to an upright position. With a travel pillow, you reduce the possibility of this happening to you. 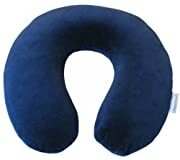 You also gain the extreme comfort that your head and neck needs as you fly in a confined space where you're cramped and surrounded by other travelers. Travel pillows come in many varieties these days. They can be simple, like the ones the airline offers for free, or advanced, plush versions that are perfect for a frequent flyer. You never want to use the free pillows that the airlines give out. That's because it's a germ breeding ground. The individuals on the flight before you used those same pillows, and if they were sick, you soon will be as well. They're supposed to clean them, but inspectors are continually finding germ-infested pillows on the planes. Instead, buy yourself your own personal travel pillow. You can get them made of different material - Chenille, Cotton, Down, Flannel, and more. 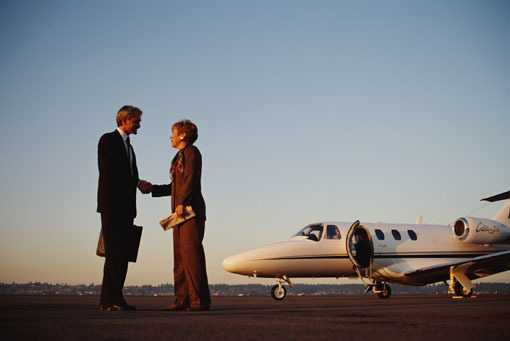 The most important things on your buying prerequisite list are comfort and portability. 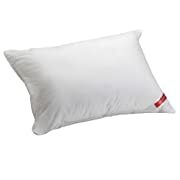 No one wants a bulky, large travel pillow that they have to carry around an airport when they already have luggage and carryon items as well. They have wonderful memory foam pillows that conform to your particular neck and head shape. TravelRest makes an inflatable pillow that is easy to store when deflated and not in use. There are also some travel pillows that come with their own special portable bag, which makes it a cinch to carry through an airport. Travel pillows come in many different sizes. There are small cubes that are the same size as an airline pillow, and larger ones that wrap themselves around your neck and head perfectly so that your head doesn't fall around once you doze off. For travelers who tend to slump forward, there are even lap pillows that you position specifically to allow your forehead or entire head to rest on. These are taller pillows that rise to meet your head and neck, so you're not bent over, encouraging a kink in your neck to form quickly. If you want more luxury, then you might even consider a full body pillow. These are like chair cushions, where the head pillow portion is built in, but you get comfort at an all-over body level. 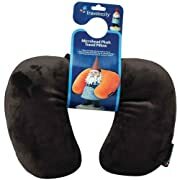 Some travel pillows even come with built in neck massagers - they can be as simple or advanced as you want them to be. 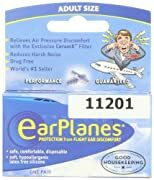 Whether you're flying in a plane or up at high altitudes in the mountains driving or hiking, you might want to invest in some ear plugs for yourself or your children to prevent pain, pressure and even nausea. Another reason people buy travel ear plugs is so that they can get a good night's rest while they're traveling for business or on vacation. Either reason is enough to warrant the investment. Pressure reducing ear plugs are made for both kids and adults alike. 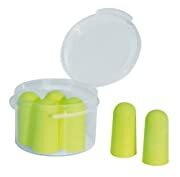 You can find reusable ear plugs that are safe for all ages. It keeps the pressure at bay, but also eliminates background noise from your surroundings. Some of the travel ear plugs you'll find are disposable and sold in mass quantities. You don't need a carrying case for these. Others come with only one or two sets and have storage containers so that you can carry and reuse them on your trip. Travel ear plugs don't have to be worn throughout the entire flight. You can simply pop them in during takeoff and landing, but during the flight, they can be removed until you need them again. Ear plugs that are re-useable can simply be cleaned with a bit of rubbing alcohol after each use. Some wearers recommend getting several pair to take with you just because the seal is tighter on the first use than on subsequent ones. 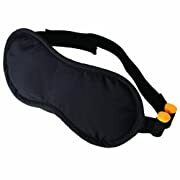 Eye masks often come with ear plugs that are stored right in the side strap of the mask. These great if you need to catch some sleep on a bright, noisy flight. It makes slumber a breeze. Neck pillow, eye mask, and ear plug kits are also available. This is the ultimate in better sleep hygiene for travelers. You won't hear anyone, see them or slump over on them while you're traveling. 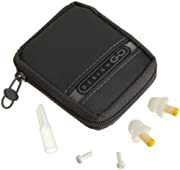 One the best travel ear plug sets you can get is one that comes with multiple sizes for the ear inserts. Ears are not a one size fits all body part, so you want a kit that has a variety of plug sizes to choose from. Nicer ear plugs can cost around $15, while the disposable kind won't be over $5. You can use these at home, too - not just when you're traveling. If you want to take a nap or drown out snoring by your spouse, these will work great for you. When you're traveling to another country, it can be a big disappointed to realize that their electrical outlets are completely different from your own. Suddenly nothing you bought will work. 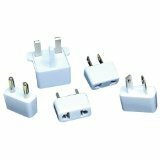 From your cell phone wall charger to your hair dryer, iron or laptop, you need to have an adapter that will work in your current country's outlets. Some people go ahead and purchase new equipment while they're in that country, but that can be both an inconvenience and a huge waste of money. 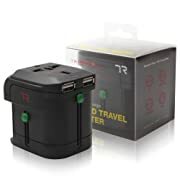 You don't have to go that route if you spend a little time preparing - and the adapters are all extremely affordable (even for the sets), so you won't break the bank the way you would having to buy all new accessories and gadgets in a foreign country. The type that you purchase will depend on where you're going. 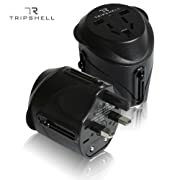 If you're heading to many different countries, then you'll want to buy a universal travel plug adapter that works in 150 countries. This is a great accessory because no matter where you are, or if your plans change, you're ready to plug in and use electricity in a moment. Some adapters just fit a few countries. 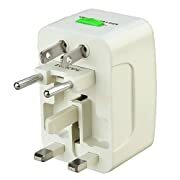 Some of the adapters you can buy will include a method for converting the voltage, while others give a clear warning that their product doesn't do that for you. 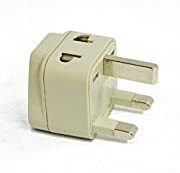 Some adapters work well for simple plugs, but not other ones. 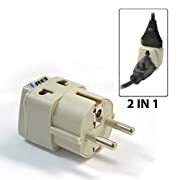 For example, there are some that say they're suitable for plugs from the United States, but they don't mean the 3-pronged plugs - just the two-pronged ones. There are some adapters that include a USB port built into them. This is a handy feature because you can charge up some of your electronic gadgets without the need for additional gadgets. 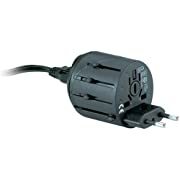 You want to make sure your adapter has the ability to offer surge protection. The last thing you want is to cause an outage or burn up your appliances and electronics because of a surge in electricity. If you want to really go the high-end route, you can find adapters that you can house in a leather case that comes with it. Most of them just come in regular packaging without special carrying cases, though. Make sure you count how many electronics you have and order a set that has plenty of adapters in it. You can get single ones - or sets that have 10 or more adapters in them! When you're traveling, it's sometimes good to invest in a good travel wallet. This is no ordinary wallet that you normally use around town - with just your driver's license and credit cards in it. This type of wallet is one that can hold much more - including your passport and other travel paperwork, like airline tickets, hotel room keys, etc. They come in many different forms, and like luggage, they can be plain or purchased as fashionable accessories. 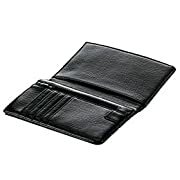 Travel wallets for men can look similar to their traditional wallets, such as the tri-fold versions. They can use clip that allows them to attach the wallet to their pants so that no one can pickpocket them while on vacation. Travel wallets for women come in many brands and styles, like the Cole Haan models that look very posh - like miniature handbags that are made of leather, zippered, and beautiful in appeal. Passport wallets are also known as passport cases. They look like traditional wallets, but have a specific space where the passport can be held or displayed openly so that you don't have to remove it from the wallet every time it needs to be checked by an authority figure. Leather is generally the most popular type of travel wallet you can buy - primarily because they tend to last long, but also because they're very stylish. Travelers - whether they're on a budget or not - can appreciate the finer material that these wallets are made of. You don't have to use this material, of course. You can go with a Nylon or even plastic version of the travel wallet, and these will obviously be more affordable than the leather models. Where do you want to carry your travel wallet? This is both a personal preference and a safety issue. Some people invest in a neck travel wallet, because when it's hanging around your neck, it's harder for anyone to steal. 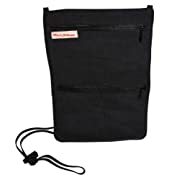 They also sell travel wallets that are belts you can wear around your waist, similar to a fanny pack where you can store several items in your wallet at once and carry it with you on the go. Many travelers like a certain travel wallet that is hidden under clothes. They sell things like bra clip wallets that attach to the middle area between the bra cups, so that it's easy to prevent theft and still simple to access when needed. When you're traveling, one of the worst nightmares you could have is for you to arrive at your destination, while your luggage ends up elsewhere (or gets picked up by the wrong person at the terminal). Travel luggage tags can help prevent this situation. Each airport will provide paper tags that you can put on your luggage, but there are sturdier options that ensure there's no mistaking whose bag it is - and where it's supposed to go. Your basic individual luggage tag is a leather tag with a window where the person can view the name and address or contact details of the traveler. They usually come in a set of two, so if you're taking more luggage, make sure you order multiple sets. You can shop for a plain travel tag made of leather (or vinyl) that has a solid color you feel comfortable with. This might be plain black, or hot pink, depending on your preferences. Some people want to dress up their luggage with a travel tag that offers more personality. You can buy animal travel tags, like frogs, cows, and puppies. You can also buy those that look like states, hearts, mustaches, flags, and other quirky items. Samsonite makes a dial combination strap luggage tag that helps protect your belongings. It's approved by the TSA. 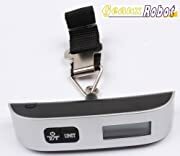 This helps make certain that your luggage won't pop open and spill its contents on the luggage carousel when you've arrived at your destination. If you're truly worried about your luggage getting lost, try the Trace Me Luggage Tracker Traceable Luggage ID Tag. Your luggage will have a unique serial number and baggage handlers can scan the tag and notify you of where your luggage has been found. 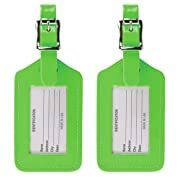 If you're traveling on your honeymoon, there are bride and groom or Mr. and Mrs. Luggage tags you can buy. These are really cute and share with everyone that you two are a happy new couple! One of the neatest travel tags you can get is one that's trackable with geocaching. It has a QR Code that's scanable with your mobile device. Of course, this is a specific kind of travel tag that's not for everyone, but for geocaching enthusiasts. 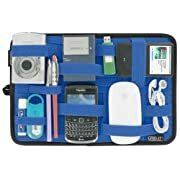 A lot of times, problems encountered with travel that can spoil your trip or Holiday is the result of a lack of knowledge or understanding about what are the most essential travel accessories that can make your travel stress free. You’ll be surprised about how much a little research can help you to be fully prepared and equipped when you next travel. You can learn a lot about other people's favorite travel accessories by checking out some travel and holiday websites and forums to see what other travelers have suggested for you as well. Below here I'm featuring more pages with helpful how-to-do-it tips about the most essential travel accessories. Feel free to submit your own story or article about your travel and accessory adventures, and I will create your own page here with your contribution for the community to read. Back to HOME PAGE of this most essential travel accessories section of the site.